George Washington Carver was born in Missouri on the Moses Carver plantation. His parents were slaves. His father died right before George was born, then while he was still a baby, slave traders kidnapped him and his mother. Only George was returned to the plantation. When he was a baby, he had a disease called whooping cough. * It left him sickly and he couldn't do hard work like the other slaves. His chores were cooking and sewing. He loved to work in the garden. He taught himself to read. His family was so poor, he couldn't afford to buy a pencil, so he made a holder and used a pencil that was only 1/4 inch long. He wanted to get an education. When he was 12 years old, he left home to attend a black school. There was only one teacher with 75 children in a small room. While other children played at recess, he studied. He studied at home before and after he did his chores. Soon he knew more than his teacher. He wrote to a college to enroll and they accepted him, but when they found out he was black, they told him he couldn't attend. After five more years, when he was 30 years old, he was accepted at a college in Iowa. He did so well, his teacher helped him to get a transfer* to Iowa State College where he studied botany. * He learned about plants and farming. He became the best botany student on campus. He did many things to earn money to pay for his expenses. He sold hominy which he had made, and sometimes he ironed clothes for his classmates. He found an old stove at the city dump and brought it home to cook meals for his friends. He used old wrapping paper for notebooks. "Don't throw anything away," he would say. "Everything can be used again." After he graduated, they asked him to teach biology* to the beginning students. 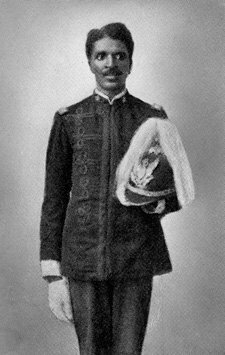 Later he was asked to teach at the Tuskegee Institute in Alabama. Carver started studying diseases which were attacking the farmers' crops. He also did a lot of experimenting to find new ways to use different plants. He made more than 300 products from peanuts. He even made soap and ink from peanuts. From sweet potatoes, he made 118 products, including flour and candy. He made 75 products from pecans and even made a building material for walls from cotton stalks. He had many good ideas! 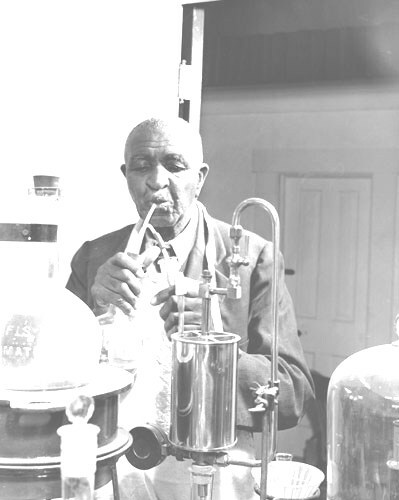 Later in his life, Thomas Edison offered him $100,000 a year to come and work for him, but he thought he could do more good at Tuskegee. He made his students work hard, and he insisted they do each experiment right. If they told him they had done something "about right", he would say, "Don't tell me it's 'about right'. If it's 'about right', then it's wrong." Money, stylish clothes, and fine cars were not important to him. He thought the truly successful person was the one who had learned to serve others. He was one of the finest scientists the world has ever known. printable book from the USDA. 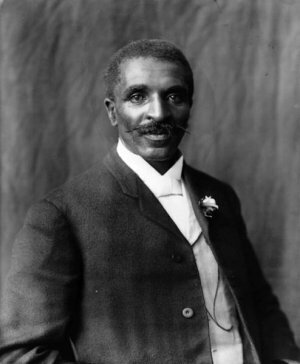 Press "Go" to search for books about George Washington Carver. This page displayed 755,036 times.